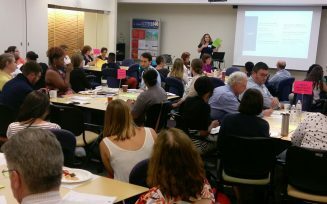 Healthy Communities Illinois (HCI) is a collaborative effort led by the American Planning Association – Illinois Chapter and the Illinois Public Health Institute (IPHI) to connect people, ideas and resources to create healthy communities in Illinois. Share ideas, ask questions and avoid “recreating the wheel” through our healthy communities forums. Connect with professionals and advocates throughout Illinois who share your goals. Study participants near greenway doubled their odds of achieving 20 min daily MVPA. Have an event to add to the calendar? Send us the details! Here is a list of resources to help you create healthy communities in Illinois. Have a resource to share? Send it via our contact form.